Are you a member of a forward-looking enterprise whose employees want to connect their myriad devices to the enterprise server, but you aren't sure how to support them all? 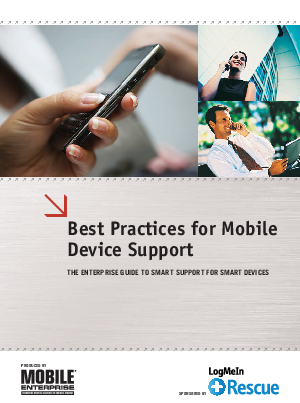 Best Practices for Mobile Device Support is a practical guide for IT managers working to oversee smartphones and tablets. The best practices offered in this white paper will help streamline IT's time, budget, and the support it offers to keep end users working effectively and successfully.